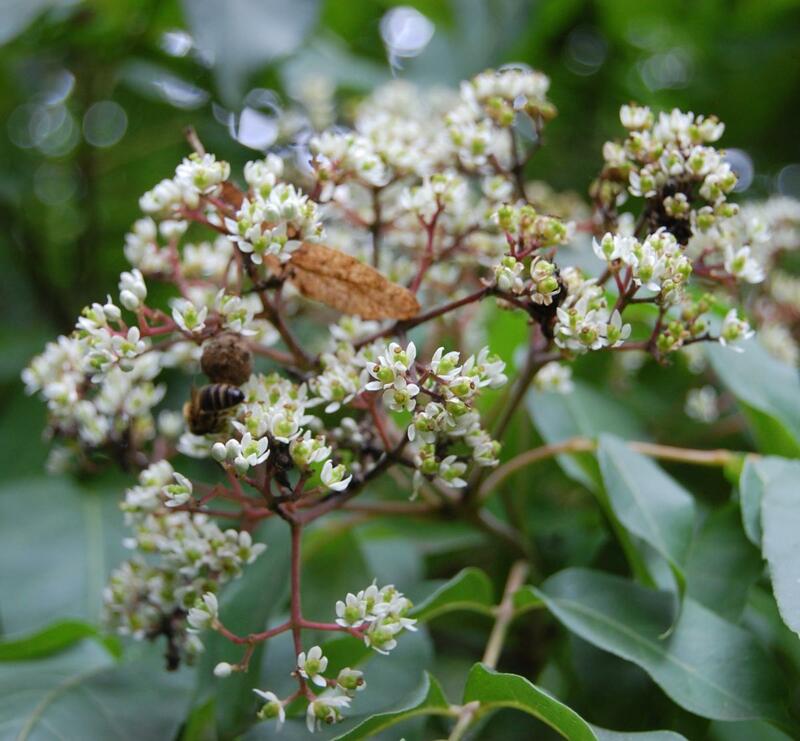 Tetradium daniellii (The Bee Bee Tree) is a lovely small to medium sized tree of great character with deep green pinnate leaves and in late summer corymbs of white scented flowers followed by very attractive brightly coloured fruit clusters. 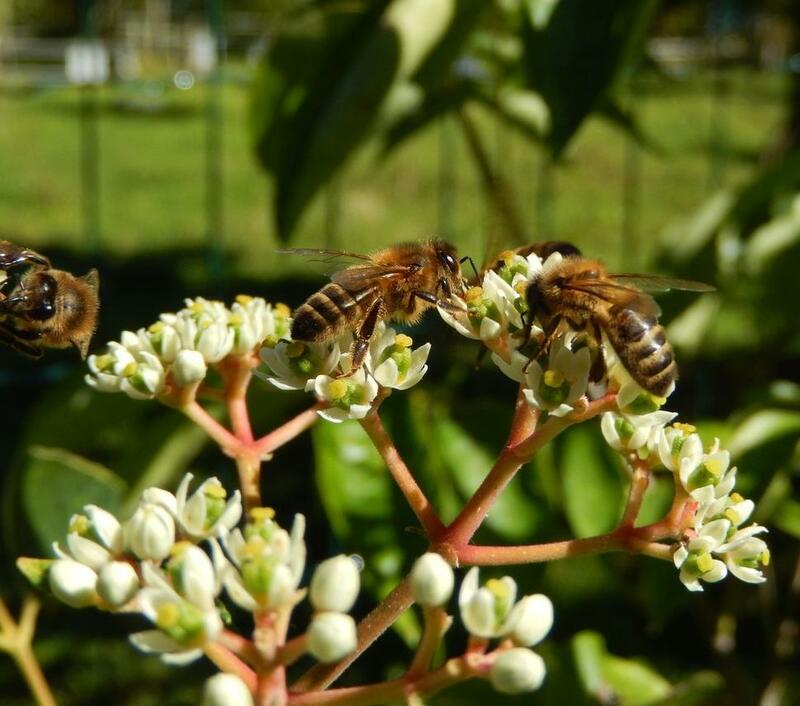 The tree is perfectly hardy and tolerant of a wide variety of soil conditions and must be one of the most attractive plants to honey bees, and a must if you have the space and you are a bee keeper. A magnet for honeybees and other pollinators, this Korean native matures as a 10m tree with a spreading crown. Clusters of white flowers appear in late July and early August. 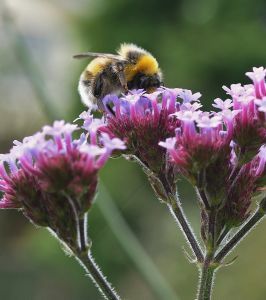 The flower heads are followed by reddish seedpods adding more colour to the late season. This late flowering characteristic is most beneficial to pollinating insects as it comes in late summer when few other trees are in bloom. 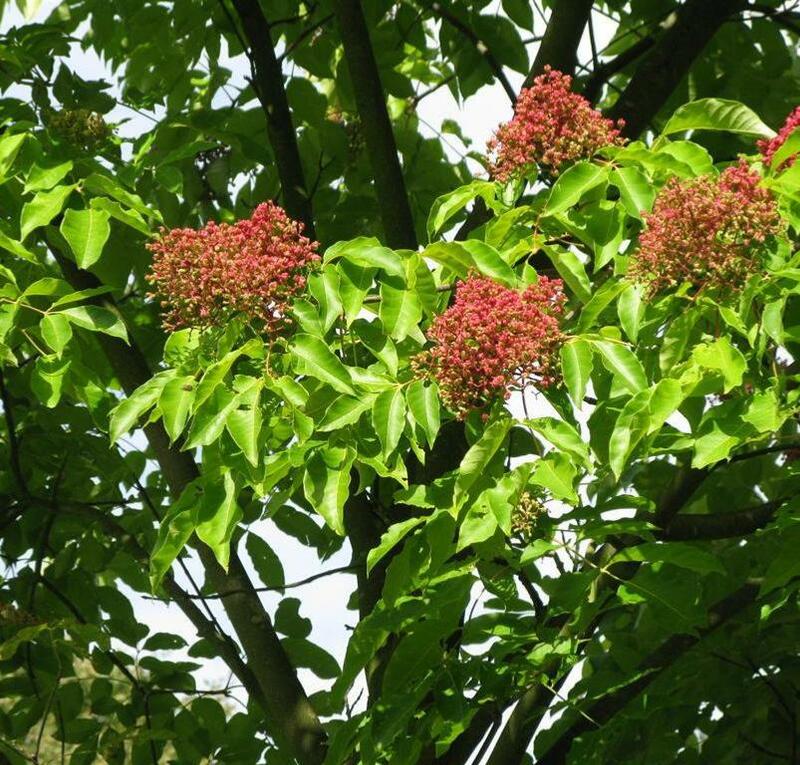 The Bee Bee Tree is relatively fast growing putting on 2 or more feet a year; trees flower after 3-4 years. 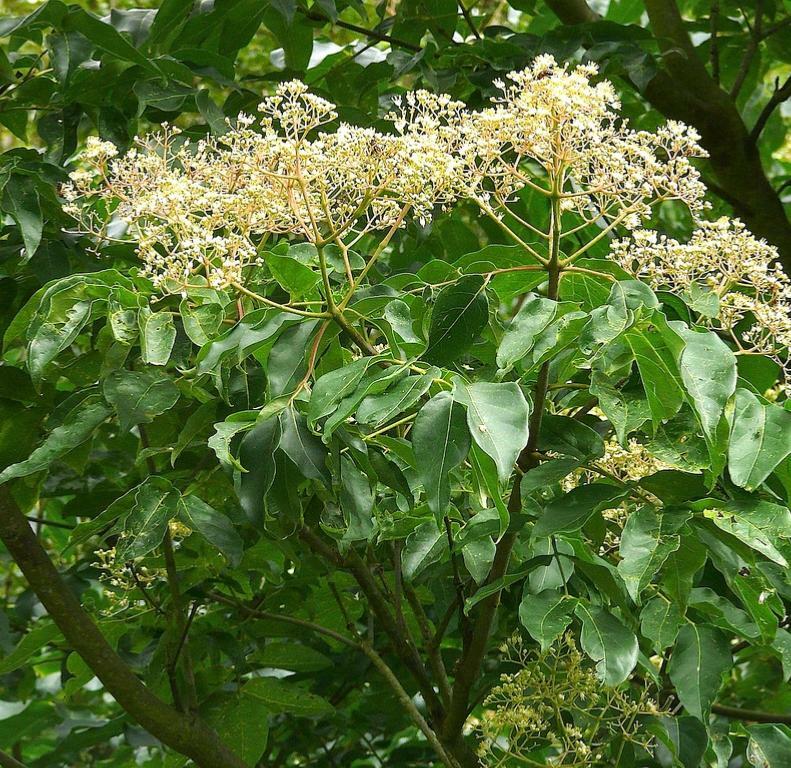 Deciduous and deer resistant, it does best in a moist yet well-drained soil and it’s an excellent choice as a street tree or landscape specimen where modest height is needed.